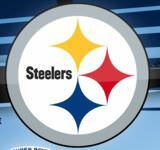 The New York Jets play in the East division of the AFC while the Pittsburgh Steelers play in the North division. The New Jersey-based Jets have won the Super Bowl once (in 1969) while the Steelers have won six times, most recently in 2008. Having been founded in 1933, the Pittsburgh Steelers are the older team with a richer history compared with the Jets, a team that was formed in 1960. The Steelers also have a better head-to-head record against the Jets, having won 18 of the 22 games the two NFL team have played against each other. The Jets were founded as the Titans of New York in 1959. They were established as a second New York football team, to rival the Giants, and struggled both financially and on the field for the first three years. The team was saved from bankruptcy in 1963, when a five-man syndicate, headed by Sonny Werblin, purchased the team for $1 million and renamed them the Jets. The Steelers were founded as the Pittsburgh Pirates in 1933. They never finished higher than second place in their division in the 1930s, and in 1940 they were renamed as the Steelers. They made the playoffs for the first time in 1947. The Jets’ first stadium was the dilapidated Polo Grounds, which was used by the New York Giants until 1957. They began playing in Shea Stadium in 1961, and began to share the Giants Stadium with the Giants in 1983. The MetLife Stadium was built between the Jets and the Giants and opened in 2010. The Steelers shared Forbes Field with the Pittsburgh Pirates from 1933 to 1963. They then moved to the Three Rivers Stadium, before moving into their current stadium, Heinz Field, in 2001. The Jets originally word blue and gold uniforms, and changed to green and white when the team was renamed in 1963. 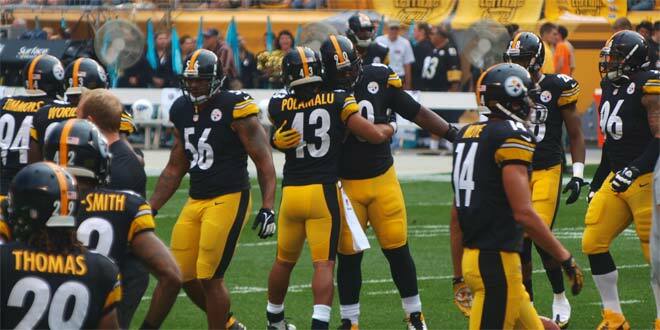 The Steelers have always used black and gold as their club colors. The Steelers’ logo was introduced in 1962 and was based on the “Steelmark.” It is the only NFL team to puts its logo on only one side of the helmet. The Steelers have a large fanbase, and in 2008, ESPN.com ranked them the best fans in the NFL, with a sellout streak of 299 consecutive games. They have sold out every home game since the 1972 season. The Jets and Steelers have played 22 games against one another. The Steelers have won 18 and lost 4 games. The record is not so lopsided in recent years, however. The two teams have played 7 games in the last 10 years and the Jets have won 3 of them. The Steelers hold many NFL records, including Most Super Bowl Wins (6), Most Trips to the Superbowl (8), and Most AFC Championships Won (8). The Jets won Superbowl III in 1969 against the Baltimore Colts. They have not appeared in the Superbowl since. The Steelers hold the record for the most Superbowl wins, with 6. They won their first Superbowl, IX, in 1975, against the Minnesota Vkings. They won again in 1976, 1979 and 1980, beat the Seattle Seahawks in 2006, and most recently won Superbowl XLIII against the Arizona Cardinals in 2009. 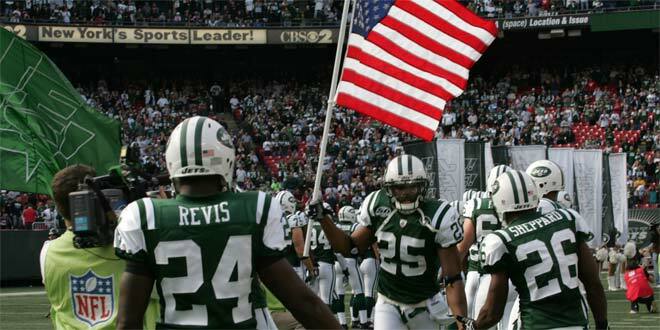 The Jets have been in four Division Championships: AFL East in 1968 and 1969, and AFC East in 1998 and 2002. The Steelers have played in 20 Division Championships: AFC Central in 1972, 1974-9, 1983, 1984, 1992, 1994-7 and 2001, and AFC North in 2002, 2004, 2007, 2008 and 2010. The Jets’ have three Hall of Famers: Joe Namath, Curtis Martin and Ronnie Lott. The Steelers’ Hall of Famers include Dermontti Dawson, Jack Butler, Rod Woodson, Mike Webster, Terry Bradshaw, Franco Harris, Jack Lambert, "Mean" Joe Greene, Lynn Swann, and John Stallworth. According to Forbes, the New York Jets are the 5th most valuable team, worth $1.22 billion, while the Steelers are 14th, worth $1.02 billion.